designed to satisfy passenger needs and airline revenue goals. connecting all functions of the passenger journey. 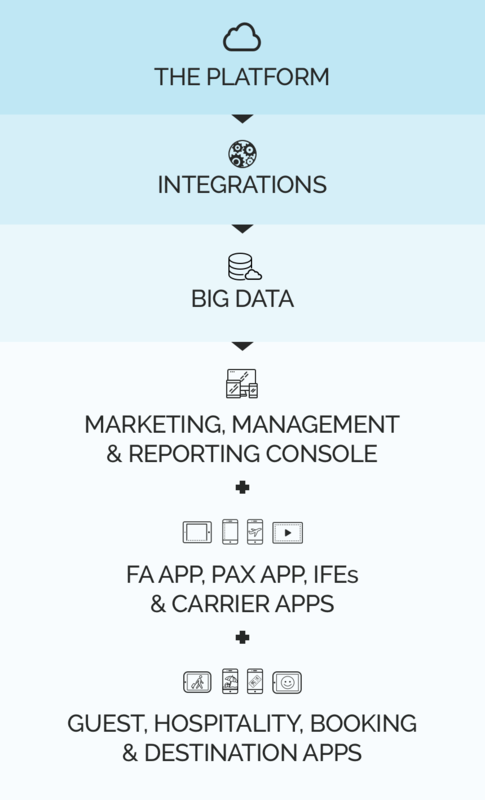 We offer all the tools you need on a single platform: passenger analytics, product optimization, marketing promotions, payments, transaction processing and more. We follow the highest industry standards for data protection and fraud prevention to ensure that all passenger transactions are secure and protected. Our configurable SaaS solution offers airlines a full set of retail, marketing, and reporting features with modules available to address specific business needs and revenue goals. Our goal is to create user-centric solutions that are enjoyable and easy to use. Whether it’s for a passenger, flight attendant, or admin, Guestlogix solutions are built to create the best experience possible.